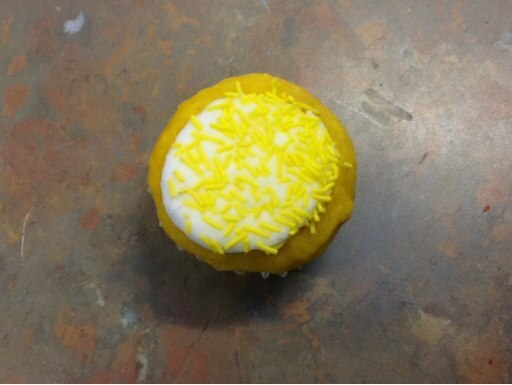 This is a picture of Aleisha's cupcake. It's yellow for Limbrick . Hope Limbrick win's todays soccer game.